oh my goodness. i can't believe i'm already getting to have a "p-day" and write to you all. my district was very lucky and gets to have TWO p-days in the mtc. everyone else pretty much just gets one...next week...can you even imagine having to go that long without getting in touch with everyone? craziness. ^if any of you know me, or know how much i struggled with being homesick while being at college you'd be happy to hear that: I AM SO HAPPY. i love being here at the MTC and being around all of these missionaries 24/7. 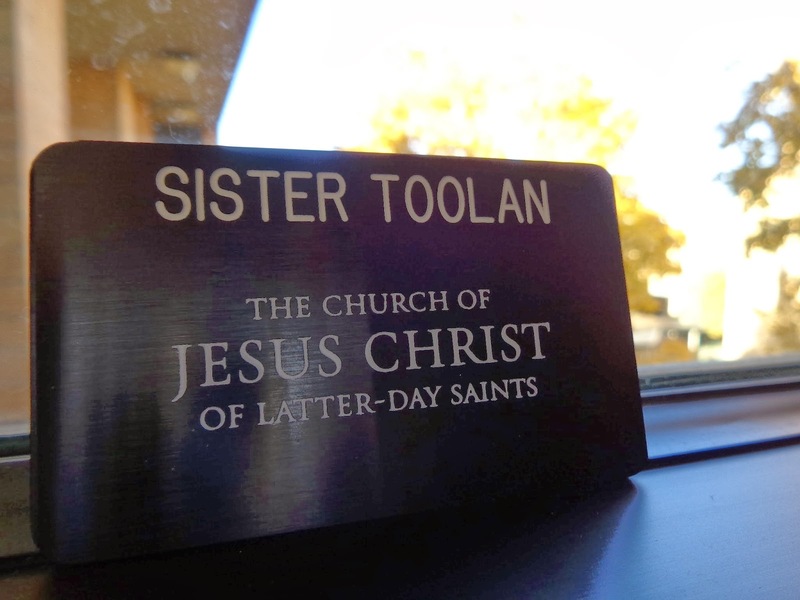 the only time i cried (up until today, which we will get to) was when they put my missionary badge on me...seeing "Sister Toolan" made it so real and i felt heavenly fathers love immediately. ^it's soooooooooo weird not getting ANY alone time and having a constant companion, but it makes it so much more enjoyable and i've made two new friends! i'm in a trio. 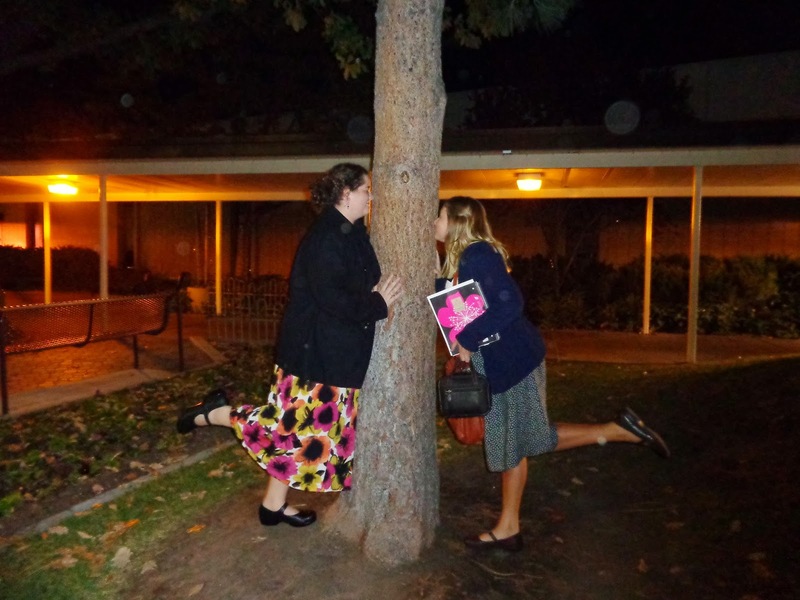 my companions are Sister Ellis from Utah and Sister Stouffer from Oklahoma. ^right when we arrived i asked about: MAIL! when & where could i get it people!!! i was itchin' for it...weeeellllll, they told us we wouldn't get to recieve anything til thursday and i thought it was the DUMBEST thing...little did i know it was heavenly fathers way of watching over me...today i started to struggle a little bit just feeling overwhelmed with everything. 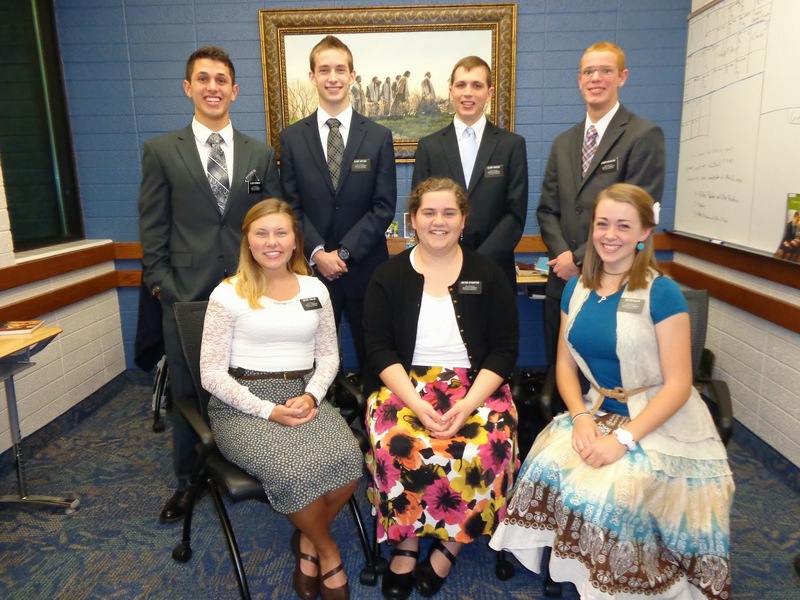 i mean, come on, it's tough being in the MTC with all these smart elders and sisters! i felt so very inadequite and like i'd never be able to do this the way others were being able to preform. then lunch came and we got to finally pick up our mail and packages and booooyyy was i in for a surprise :) i have so many loving friends and family that sent me so many "DearElders" and 3 fantastic packages!!!! heavenly father has a plan. i needed that mail today more than i ever would have two days ago. oh, the tender mercies. ^when i started to feel very down on myself today and started to cry my comp. sister stouffer joined in with me. i guess it finally started to hit all of us. then one of the sisters teaching us here at the mtc came over and starting talking to my companions and i. i told her we were struggling with feeling the spirit. everyone here kept talking about how strong it was and how much it was helping them know the things to say and such, and there we were, sisters that usually feel the spirit SO strongly, yet we hadn't been feeling it much the past few days. the sister asked us to open up to Enos in the Book of Mormon. in the first chapter it talks about how enos had to pray and cry unto the lord ALL day long about what he was going through. she said "maybe He is making it harder for you to feel the spirit because He wants to hear from you and he wants you to be more grateful when you finnally DO get to feel the spirit strongly." she made it clear that there was nothing wrong with us and we were doing what we should. i'm so thankful for my teachers here at the MTC. ALRIGHTY. NOW FOR SOME FUN THINGS. ^every time we walk past a room that has laundry going it makes me smiiiillleeee! it makes me think of home :) it's the simple things, ladies and gentlemen! ^there is a tree here that if you go up and sniff it, it smells like CREAM SODA. like straight up cream soda!!! it's soooooo cool lol. ^i think we should have a SARTMTC...Single And Ready To Mingle Training Center!!! THE BOYS (i mean, elders) HERE ARE SOOOOOOO BEAUTIFUL. and the girls aren't too shabby either if you ask me lol. i'm just sayyyiiiiin. if everyone in the mtc wasn't on a mission...wow....it would be the best dating center EVER. i ain't even kiddin yall....SO BEAUTIFUL. 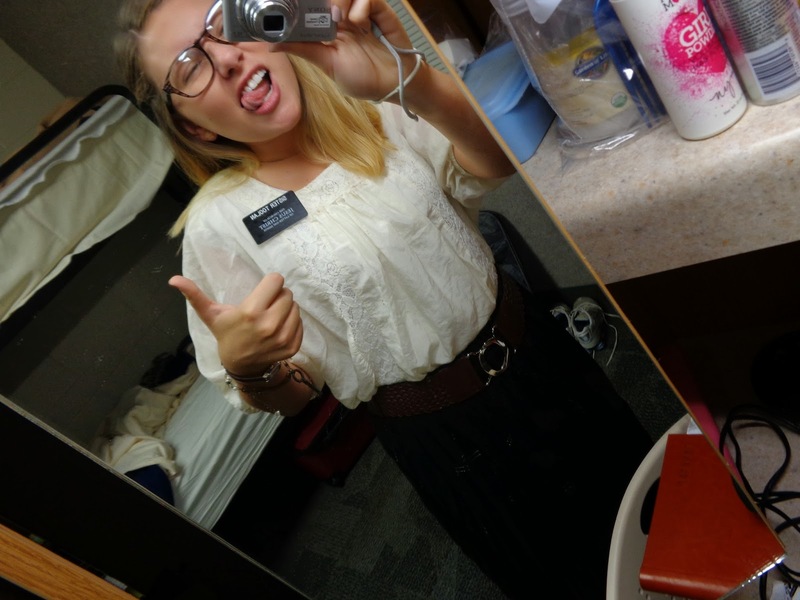 ^everytime i see my reflection in the door i'm all like "oh my goodness....i look like a misshhh..I AM A MISSIONARY!!! whaaaaaaaa???" ^FOR ALL OF YOU THAT DOUBTED ME: I'M DOING FINE WITHOUT MY PHONE. i actually love not having to worry about it :) i'm doing more important work than texting all those cute boys back :p they can wait. 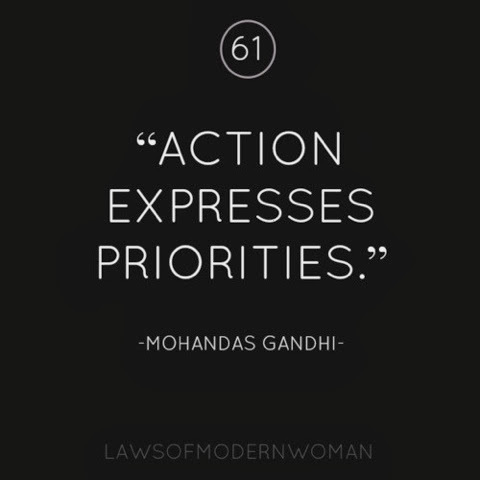 this is what i have to do now. I love being here at the MTC. I know that Jesus Christ has been, and will continue to stand right beside me my whole time here and out in the field. 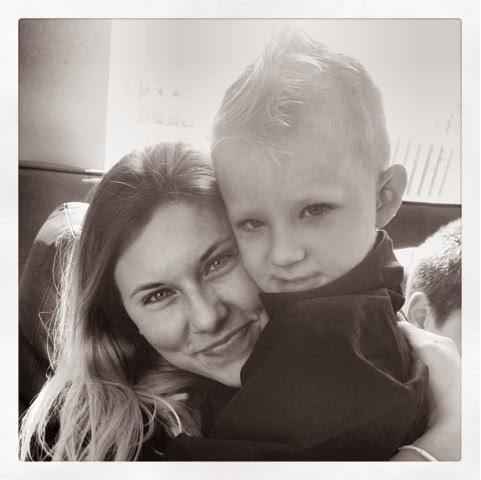 I have felt His love for me so much even in just the last 2 days. This church is true, and the people of Rancho Cucamonga need to know!!!! I love being a missionary. Thanks Macy for the shirt! 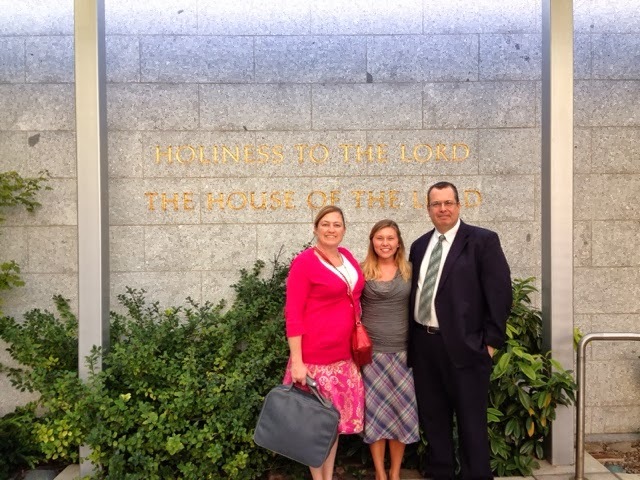 The Marcellos and I at the Salt Lake City, Utah temple! So far I've handled leaving very well (surprise surprise, everyone? Lol) and pray each night that I can continue to throughout the next 18 months. There is nothing better I could be doing right now in my life than serving a mission. I'm so thankful I've been being prepared my whole entire life for this. I'm leaving my life behind for 18 months because being a member of this church and bringing peace and joy into people's lives is MY priority. Going on a mission isn't something you can just 100% prepare for. People can give you advice and tell you their own stories, but when it comes down to it you have to find everything out for yourself. 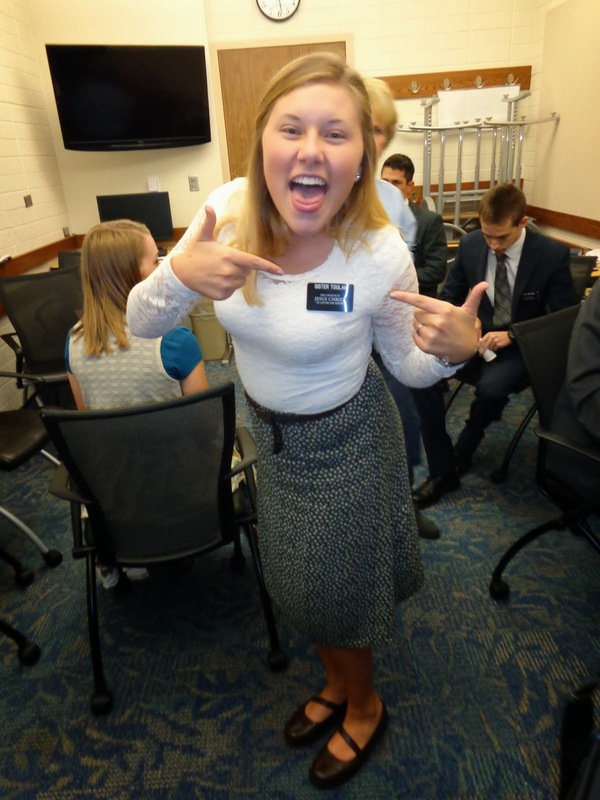 It's very nerve-racking just sitting waiting to report to the MTC, but it's one of those "you'll never experience this feeling ever again" kind of things which makes it so neat!